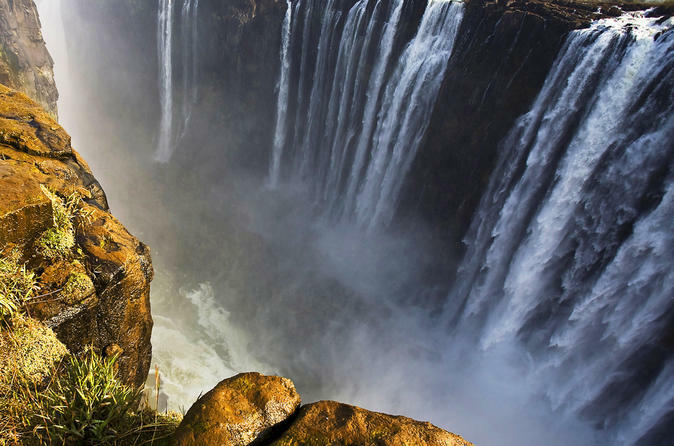 Explore Victoria Falls on a 2-hour walking tour in the morning or afternoon, and discover one of the world’s most magnificent waterfalls, a site that is listed as one of the Seven Natural Wonders of the World. With a local guide, visit an ancient baobab called 'The Big Tree,' and then walk along the rugged rainforest trails that surround the falls. 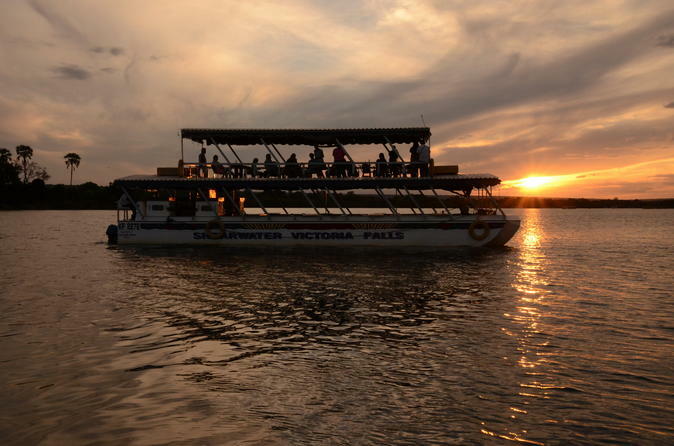 Admire the colorful flora and fauna of the rainforest as well as the craggy gorges of the Zambezi River while learning about Victoria Falls’ fascinating history. 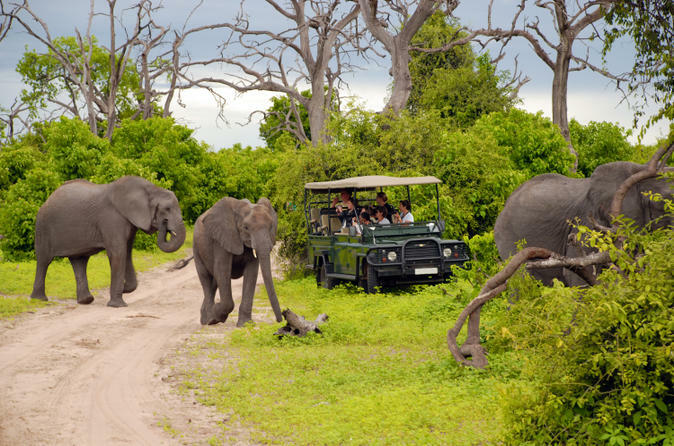 Visit Victoria Falls and Botswana’s Chobe National Park on a 5-day tour from Johannesburg, and enjoy non-stop thrills from start to finish! 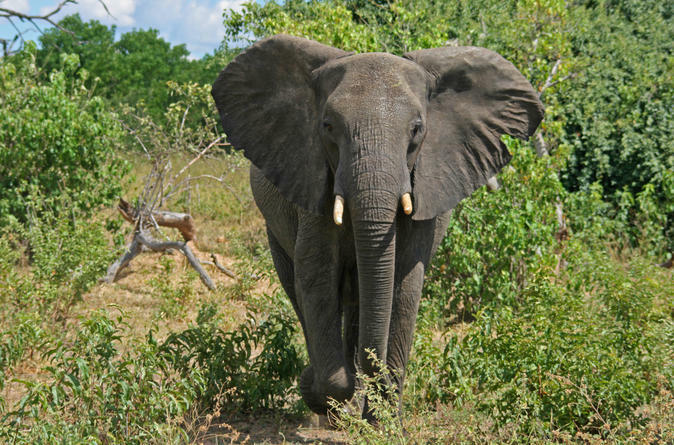 After flying to Victoria Falls, head to the world’s largest waterfall with your expert guide, and explore Mosi-oa-Tunya National Park’s lush rainforest trails. 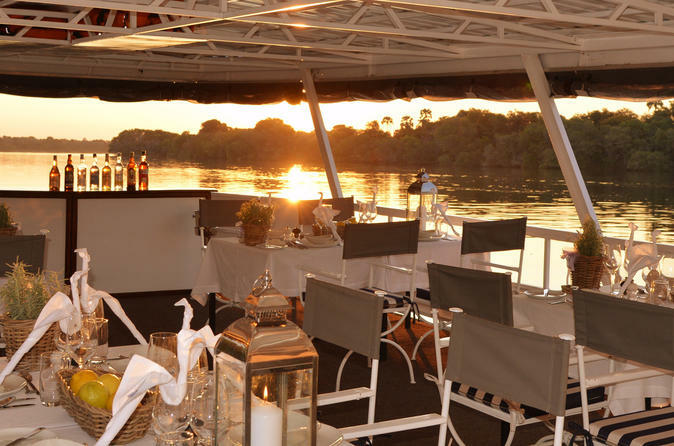 Watch the sun set on an evening Zambezi River cruise, and then explore the game-rich wilderness of Chobe National Park. 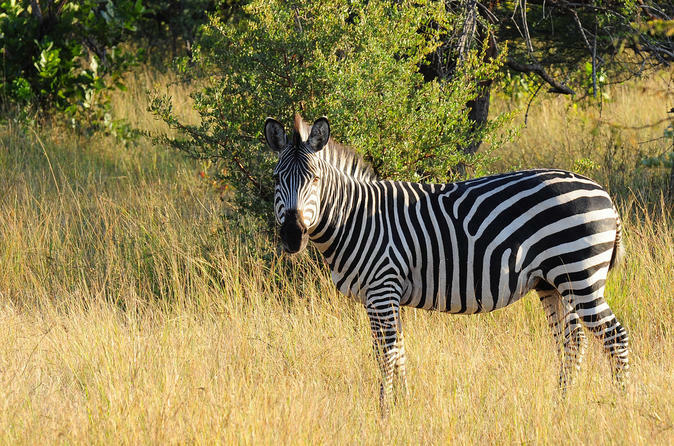 With scenery to ignite all your senses, the park is the perfect place for a Big Five game drive and river cruise – both of which you’ll do on this unforgettable tour. Two nights of accommodation in Victoria Falls village in Zimbabwe, and two nights of accommodation in Kasane, Botswana, are included. 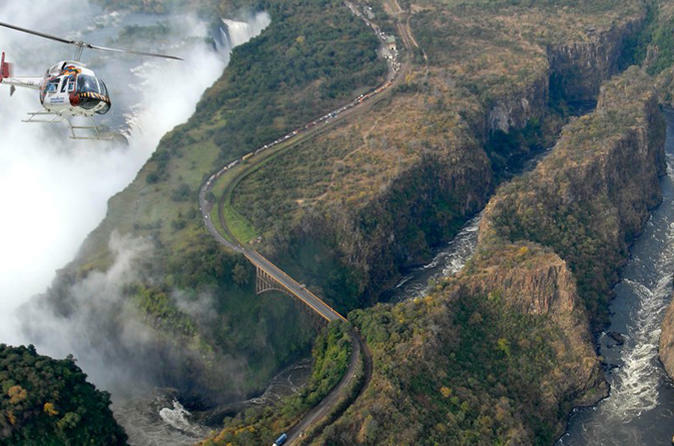 Soar above the magnificent Victoria Falls during a 13-minute helicopter experience with hotel pickup and drop-off included! 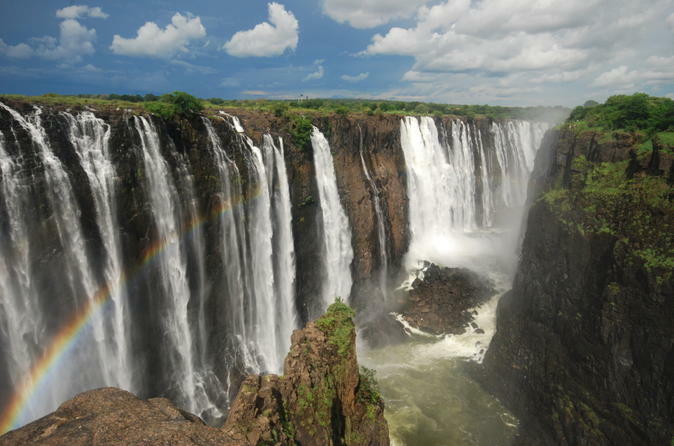 Aboard a 10-seater helicopter with clear glass sides, glide above one of the world’s largest waterfalls, seeing the crashing waters of the Zambezi River hurtle down the 360-foot (108-meter) natural gorges. After the flight, take home a video and photo of the experience for a perfect keepsake of this once-in-a-lifetime flight. 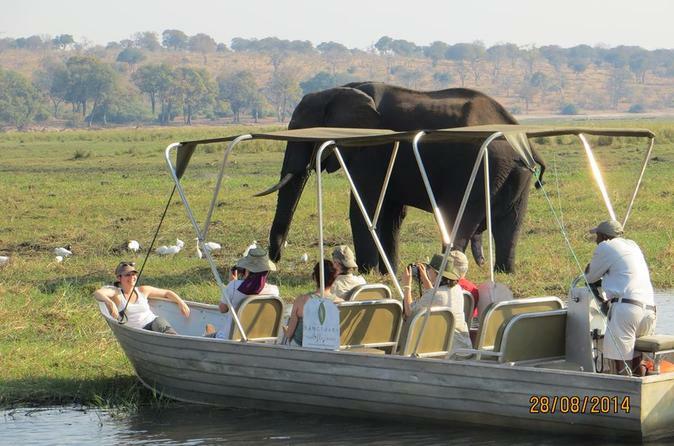 Chobe day trip from Victoria Falls. 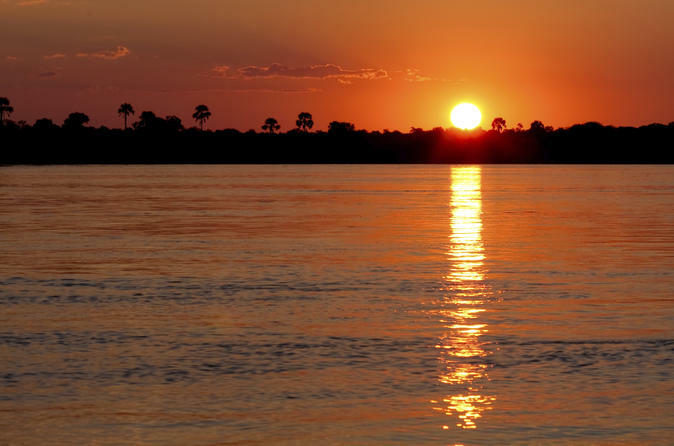 Experience the game on the Chobe river by the boat and the game drive in the park.